One essay inspired by their work, written by Walter Fisher and Brockriede, argues that Burke's dramatism and logology are philosophical variants of realism that may be called "linguistic realism. "6 Fisher and Brockriede compare the philosophies of Burke and Perelman and conclude that they both create "social" rhetorics that are different in two important ways. First, they argue that Perelman rejects Burke's "linguistic realism" and instead holds that "language is an instrument rhetors use in their attempts to gain adherence. "7 Second, they note that Perelman's theory focuses upon argumentation whereas Burke's theory "does not feature logic. "8 I advance a third distinction in this essay. Burke and Perelman utilize different senses of "social" rhetoric in that: Perelman's theory of rhetoric is social as a transference of ideas, whereas Burke's theory is social as a transformation of identity. This distinction is important for appreciating the contribution that their works have for the study of rhetoric. In this essay, I examine four aspects of the rhetorical theories of Burke and Perelman. First, I review their definitions of rhetoric. Second, I illuminate their sociological assumptions about the nature of human beings and interaction. Third, I examine their view of the process of rhetoric. Fourth, I discuss their conceptions of an ultimate rhetoric. From this examination, I draw implications for their theories, for rhetorical theory in general, and for the fusion of their theories. Burke goes beyond a community of minds engaged in intellectual contact. Rhetoric, for him, is "the use of language as a symbolic means of inducing cooperation in beings that by nature respond to symbols. "11 Rhetoric’s concern is "the state of Babel after the Fall. "12 Rhetoric is the ambiguous combination of identification and division that leads us beyond intellectual contact "through the Scramble, the Wrangle of the Market Place, the flurries and flare-ups of the Human Barnyard, the Give and Take, the wavering line of pressure and counterpressure, the Logomachy, the onus of ownership, the Wars of Nerves, the War. "13 In a nutshell, Burke focuses on the entire human condition whereas Perelman is interested in the intellectual judgment a community uses. Perelman and Burke's definitions of rhetoric exhibit their unique conception of what it means to be "social." Fisher and Brockriede have called Perelman's rhetoric "'social,' as evidenced by his emphasis on audiences. "14 Specifically, Perelman views socialness as constituted in the interaction of arguers and audience members. Perelman's view of being social is worked out in The New Rhetoric essentially as the "study of audiences. "19 A rhetor must consider the culture, social functions, and differing characteristics of people.20 The rhetor is "justified in visualizing each one of his listeners as simultaneously belonging to a number of disparate groups. "21 Hence, rhetors comes to understand themselves, their relationship to the audience's multiple groups, and their ability to gain the audience's adherence to their thesis. Kenneth Burke's rhetoric has also been called "social. "22 Burke's "social" is distinct from Perelman's for Burke's theory goes beyond the assessment of and adjustment to audience. Burke conceives of socialness as the rhetorical interconnection of the very substance of human beings. Daniel Fogarty has argued that Burke's rhetoric is "man’s" device "for survival by social balance with his inner self and with his world. "23 Burke believes rhetoric reconstitutes who people are as well as what they believe.24 Burke exhibits this approach toward sociality in two ways. Given their views of sociality, it is not surprising that the processes of rhetoric for Burke and Perelman differ. Burke views the rhetorical process as the conjoining and separating of selves. Perelman views the rhetorical process as the use of argument to allow "communion" among peoples. Here Perelman exhibits his emphasis upon the argumentative nature of even Burke's work. This emphasis is epitomized by The New Rhetoric's concern with the topoi and structure of argumentation. In the book, Perelman outlines his view of the rhetorical process. He sees initial starting points of argument as facts, data with which "we can postulate uncontroverted, universal agreement,"36 truths, "more complex systems relating to connections between facts,"37 and presumptions, statements or expectations of "what is normal and likely. "38 From these universally agreed upon constructs, values, the ideals contained within argument,39 hierarchies, which rank in superiority values,40 and loci, "which affirm that one thing is better than another"41 can be used as tools for a rhetor to gain the audience's adherence to his or her thesis. Second, this essay reinforces the important social contribution that Burke can make to rhetoric. For Burke, symbolic inducement is grounded upon the desire of human beings to overcome division, as well as to create division. It is in this almost paradoxical nature of rhetoric that both resolution and revolution are bred. For, if we understand that identification, even at its apex as "pure persuasion," can sow the seeds of peace as well as hate and war, we can be more wary of the hope and dangers of the division that identification implies. Third, this discussion reveals the beginnings of a way to integrate the theories of Burke and Perelman. Perelman's theory can add to Burke's theory of persuasion by offering a practical way of social reasoning. Perelman's focus on the contact between minds via techniques of argument and the attempt to gain the adherence of the universal audience offers ways for sociality to be both a rational and reasonable affair. From the rhetorical contact of minds, communities dedicated to justice can be realized. I believe Burke's theory can add to Perelman by giving a global perspective which points to the social implications and limits of the process of social reasoning. For Burke, when minds meet, so do motives and desires. As a result, the conjoining of minds enhances community only insofar as it reflects two concerns. First, it needs to reflect the fallibility of humans. Here, I am thinking of Burke's desire for the comic corrective and that humans transcend themselves by noting their own foibles.64 And, second, it needs to reflect that identification implies division. Here, the conjoining of minds can exclude, create animosity, and war. My thoughts are obviously only a rough beginning. But they do reflect the sociality of the rhetorics of Burke and Perelman and that the two can be joined together usefully. The specific workings of this mixture, as Fisher and Brockriede have argued, awaits "a mind that can wed their theories. "65 That mind, no doubt, will be one of the rhetoricians whom scholars remember as one of the greats of the twenty first century. 1. Wayne Brockriede, rev. of The New Rhetoric and the Humanities: Essays on Rhetoric and Its Applications, by Chaim Perelman, Philosophy and Rhetoric 15 (Winter, 1982): 76. 2. See, for example, Walter Fisher, Human Communication as Narration: Toward a Philosophy of Reason, Value, and Action (Columbia, South Carolina: University of South Carolina Press, 1987); Marie Hochmuth NIchols, "Kenneth Burke and the 'New Rhetoric,'" Quarterly Journal of Speech 38 (April, 1952): 133-144; and Karl Wallace, "Topoi and the Problem of Invention," Quarterly Journal of Speech 58 (1972): 387-395. 3. See, for example, Henry W. Johnstone, Jr., Validity and Rhetoric in Philosophical Argument (University Park PA: The Dialogue Press of Man & World, 1978): 86-92; N. Rotenstreich, "Argumentation and Philosophical Clarification," Philosophy and Rhetoric 5 (1972): 12-23; Don Abbott, "Marxist Influences on the Rhetorical Theory of Kenneth Burke," Philosophy and Rhetoric 7 (Fall 1974): 217-233; and David Cratis Williams, "Under the Sign of (An)nihilation: Burke in the Age of Nuclear Destruction and Critical Deconstruction," in The Legacy of Kenneth Burke, eds. Herbert W. Simons and Trevor Melia (Madison, Wisconsin: University of Wisconsin Press, 1989): 196-223. 4. 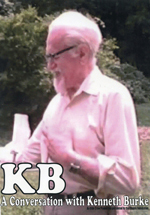 Rene Wellek, "Kenneth Burke and Literary Criticism, " Sewanee Review 79 (Spring 1971): 171-188 and Louis Fraiberg, Psychoanalysis and American Literary Criticism (Detroit, Michigan: Wayne State University Press, 1960): 183-190, 199-201. 5. Eugene Kamenka and Alice E.-S. Tay, "The Traditions of Justice," Law and Philosophy 5 (1986): 281-313; George C. Christie, "The Universal Audience and Predictive Theories of Law," Law and Philosophy 5 (1986): 343-350. 6. Walter Fisher and Wayne Brockriede, "Kenneth Burke's Realism," Central States Speech Journal 35 (Spring 1984): 35-42. 7. Fisher and Brockriede "Kenneth" 42. 8. Fisher and Brockriede "Kenneth" 42. 9. Perelman and Olbrechts-Tyteca The New Rhetoric: A Treatise 14. 10. Perelman and Olbrechts-Tyteca The New Rhetoric: A Treatise 14. 11. Kenneth Burke, A Rhetoric of Motives (Berkley, California: University of California Press, 1969): 43. 12. Burke A Rhetoric of Motives 23. 13. Burke A Rhetoric of Motives 23. 14. Fisher and Brockriede "Kenneth" 42. 15. Chaim Perelman, "The Dialectical Method and the Part Played by the Interlocutor in Dialogue," in the Idea of Justice and the Problem of Argument (London, 1963): 161-167. 16. Chaim Perelman, The New Rhetoric and the Humanities: Essays on Rhetoric and Its Applications (Dordrecht, Holland: D. Reidel Publishing Company): 65; Hereafter referred to as The New Rhetoric and the Humanities. 17. Chaim Perelman The New Rhetoric and the Humanities 67. 18. Chaim Perelman The New Rhetoric and the Humanities 71. 19. Chaim Perelman and Lucy Olbrechts-Tyteca, The New Rhetoric: A Treatise on Argumentation (Notre Dame, Indiana: Notre Dame Press, 1969): 20; Hereafter referred to as The New Rhetoric: A Treatise. 20. Chaim Perelman The New Rhetoric: A Treatise 21. 21. Chaim Perelman The New Rhetoric: A Treatise 22. 22. Douglas Ehninger, "On Systems of Rhetoric," Philosophy and Rhetoric 1 (Summer, 1968)): 131-144. 23. Daniel Fogarty, Roots for a New Rhetoric (New York, New York: Teachers College Press, 1959): 56-72. 24. For a full description of this "magical" process, see: Jane Blankenship, "'Magic' and 'Mystery' in The Works of Kenneth Burke," in The Legacy 128-151. 25. Christine Oravec, "Kenneth Burke's Concept of Association and The Complexity of Identity," in The Legacy 182. 26. See Kenneth Burke, A Grammar of Motives (Berkley, California: University of California Press, 1969): 21-58. 27. See the entirety of A Grammar. 28. Joseph R. Gusfield, "The Bridge over Separated Lands: Kenneth Burke's Significance for the Study of Social Action," in The Legacy 31. 29. Burke A Rhetoric of Motives 21. 31. Burke A Rhetoric of Motives 134. 32. Burke A Rhetoric of Motives 134. 33. Burke A Rhetoric of Motives 134-135. 34. Burke A Rhetoric of Motives 135. 35. Perelman and Olbrechts-Tyteca The New Rhetoric: A Treatise 413. 36. Perelman and Olbrechts-Tyteca The New Rhetoric: A Treatise 67. 37. Perelman and Olbrechts-Tyteca The New Rhetoric: A Treatise 69. 38. Perelman and Olbrechts-Tyteca The New Rhetoric: A Treatise 71. 39. See Perelman and Olbrechts-Tyteca The New Rhetoric: A Treatise 74-79. 40. See Perelman and Olbrechts-Tyteca The New Rhetoric: A Treatise 80-85. 41. See Perelman and Olbrechts-Tyteca The New Rhetoric: A Treatise 85-99. 42. Perelman and Olbrechts-Tyteca The New Rhetoric: A Treatise 163-164. 43. Perelman and Olbrechts-Tyteca The New Rhetoric: A Treatise 74. 44. Perelman and Olbrechts-Tyteca The New Rhetoric: A Treatise 165. 45. Perelman and Olbrechts-Tyteca The New Rhetoric: A Treatise 323. 46. Perelman and Olbrechts-Tyteca The New Rhetoric: A Treatise 31-35. 47. Burke A Rhetoric of Motives 267. 49. Perelman and Olbrechts-Tyteca The New Rhetoric: A Treatise 31. 50. Perelman and Olbrechts-Tyteca The New Rhetoric: A Treatise 32. 51. Perelman and Olbrechts-Tyteca The New Rhetoric: A Treatise 33. 52. Perelman and Olbrechts-Tyteca The New Rhetoric: A Treatise 31. 53. Burke A Rhetoric of Motives 267. 54. Burke A Rhetoric of Motives 270. 55. Burke A Rhetoric of Motives 269. 56. Burke A Rhetoric of Motives 275. 57. Burke A Rhetoric of Motives 270-271. 58. Burke A Rhetoric of Motives 273. 59. Burke A Rhetoric of Motives 275. 60. Burke A Rhetoric of Motives 275. 61. Burke A Rhetoric of Motives 55. 62. For a "technical" view of Perelman, see F. H. van Eemeren, R. Grootendorst, and T. Kruiger, The Study of Argumentation (New York, New York: Irvington, 1984): 208-259. 63. Walter Fisher, "Judging the Quality of Audiences and Narrative Rationality," in J.L. Golden and J.J. Pilotta (eds. ), Practical Reasoning in Human Affairs, D. Reidel Publisher, 1986, pp. 85-103. 64. Kenneth Burke, Attitudes Toward History (Berkeley, California: University of California Press, 1959) 171. 65. Fisher and Brockriede "Kenneth Burke's Realism" 42.